That's all for this week. Join us next week from 06:00 on Monday. 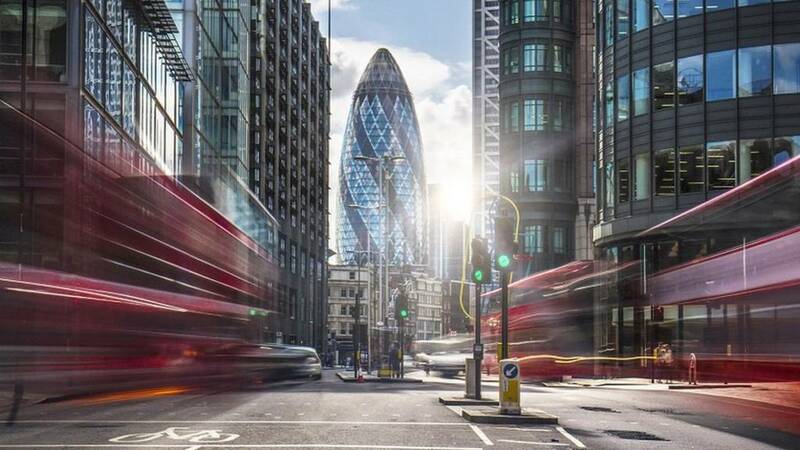 Europe's banking regulator has told European branches of UK banks to make sure deposits will remain covered by guarantee schemes in case the UK leaves the EU without a trading agreement. The European Banking Authority said "depending on the decisions taken by the UK authorities," branches on the continent may no longer be covered by Britain's own deposit protection system. That's the end of trading on US markets. The Dow Jones closed 0.4% higher to 26,026.32, while the tech-focused Nasdaq rose for the 10th straight week with a 0.8% gain to 7,595.36 and the broad-based S&P 500 rose 0.8% to 2,802.94. 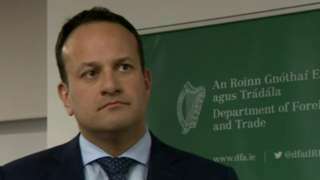 Irish PM Leo Varadkar made the comments in Belfast, before attending a dinner with the Alliance Party. Markets may be losing faith about the US central bank's commitment to meeting its 2% inflation target, given years of low inflation, Atlanta Federal Reserve bank president Raphael Bostic has said. "We have been below 2% for quite a while." Maintaining the central bank's credibility is one argument for changing to a new method of managing the inflation goal, such as shooting for an average over time rather than a single goal, he said. Italy posted a state sector budget deficit of €9.7bn in February, an increase of €3.3bn from February 2018. Italy's budget deficit came in at 2.1% of gross domestic product last year. It is targeting a 2.04%, but weak growth is making things hard. Brazil posted a trade surplus of $3.67bn in February, according to government data, beating estimates from analysts of $3.0bn. Imports totalled $12.62bn and exports $16.29bn, the trade ministry reported. A big exporter is Embraer, the plane maker. The Canadian government said it would allow an extradition hearing to proceed against Meng Wanzhou, the chief financial officer of Huawei Technologies, who was detained in Canada late last year. "Today, department of Justice Canada officials issued an authority to proceed, formally commencing an extradition process in the case of Ms. Meng Wanzhou," it said in a statement. The US Justice Department charged Huawei and Ms Meng in January with conspiring to violate US sanctions on Iran. Apple shareholders kicked out a shareholder proposal from a conservative group that would have required the company to disclose the "ideological perspective" of nominees for its board. The proposal was placed on the ballot by the National Center for Public Policy Research think tank. It received only 1.7% of votes at Apple's annual meeting. The think tank asked Apple in 2014 to disclose the cost of its sustainability programmes, a proposal which was also rejected with 97% of shareholder votes. Apple CEO Tim Cook told them back then to sell their shares if they didn't like the company's policies. 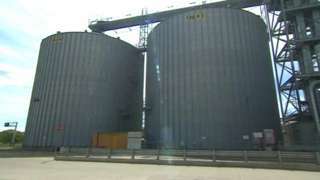 The facility has been mothballed four times due to falling global prices. More on that Air France KLM row that's been rumbling along this week. The Dutch government won't buy more Air France KLM shares and is not planning to take control of the company, it said in a notification to French stock market regulator AMF. On Tuesday, the Dutch government took everyone by surprise - not least the French government and the company itself - by buying a 14% stake in the airline. The Dutch now own nearly as much as the French state's 14.3% stake. Amazon is planning to open grocery stores across the US as part of a push into the food business, the Wall Street Journal reported. The new stores would be distinct from Amazon's upmarket Whole Foods Market brand, the newspaper said. The FTSE 100 closed higher, led by gains from ad company WPP and London Stock Exchange Group. London's index of larger firms closed up 0.45%, at 7,103.73. This latest victim of the high street slump is as surprising as when Orla Kiely went into administration in September last year. It also had the backing of high profile celebrities which should have bridged the gap to the latest generation of shoppers. However, it seems that the business has fallen since it’s £100m height in 2008. If the British retail industry wasn’t already nervous about business, it will be rocked to see that a second business with a seemingly strong, high end core of customers has entered administration. Its foreign minister says Pyongyang's position will not change even if the US seeks further talks. 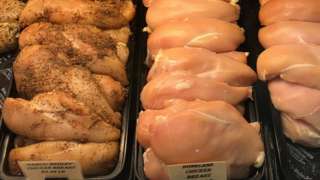 Number 10 says it won't give in to US calls to allow chlorine-washed and hormone-treated meat into the UK. Tesla shares dropped 8% in early Wall Street trading after it announced a move to close its showroom network and sell a cheaper version of its Model 3 sedan. Have you ever fancied renovating a VW camper van? Well here's an opportunity, but there are a couple of catches. The seller is in Canada and you'll have to buy 55 vans at once, priced at 350,000 Canadian dollars (£200,000) for the lot. Judging from the pictures the vans look pretty beaten up, but the seller says they are all in "good restorable condition". He warns that he "will not respond to flakes with no money". Hat tip to Popular Mechanics.